8,400 annual points! Points can be used anywhere in the Hilton Grand Vacation Club network! Inquire for details! Encircled by five ancient volcanoes and nestled between two championship golf courses, the *Kohala Suites by Hilton Grand Vacations Club* offers an idyllic setting on the sun-drenched Kohala Coast of the island of Hawaii! The resort features panoramic views, luxurious accommodations and an array of services and recreational facilities. Guests of the resort also enjoy preferred privileges at The King's Golf Course and The Beach Golf Course and the Hilton Waikoloa Hotel including Dolphin Lagoon. The extensive amenities of the surrounding Waikoloa Beach Resort include an array of formal and casual restaurants, The King's Shops, and an oasis of lush landscaping and sparkling waterfalls! For more information, visit www.hiltongrandvacations.com. *RCI Gold Crown Resort* Featuring a beautifully appointed 2 bedroom, 2 bath plus suite that will accommodate 8 guests comfortably. Annual usage is based on points, with 8,400 points per year included in the sale. 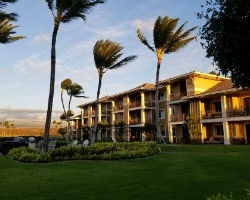 Points can be used to stay at this luxurious Hawaiian resort or anywhere in the HGVC network. Maintenance fees paid annually. For more information or to make an offer, please submit the inquiry form.